Molly Naylor & Company: LIGHTS! PLANETS! PEOPLE! 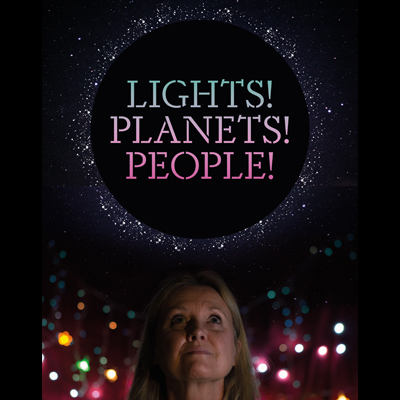 This entertaining drama is an insightful, moving, funny and inspirational take on the interconnected worlds of women, science and space travel. Renowned space scientist Maggie Hill recently launched a career-defining mission to find habitable planets. It didn't go well. Shortly afterwards, her girlfriend stopped speaking to her. She's going to have to address both of these catastrophes. Maggie is giving a lecture about her career, to inspire young women to work in science. She's also attending her first therapy session, in which she's at pains to state how her bipolar disorder isn't relevant to the conversation. The spaces overlap as we begin to build a picture of Maggie's greatest achievements and biggest regrets. Written and directed by Molly Naylor. Performed by Karen Hill. Commissioned by Warwick Arts centre, Southampton Nuffield Theatres and Norwich Arts Centre.